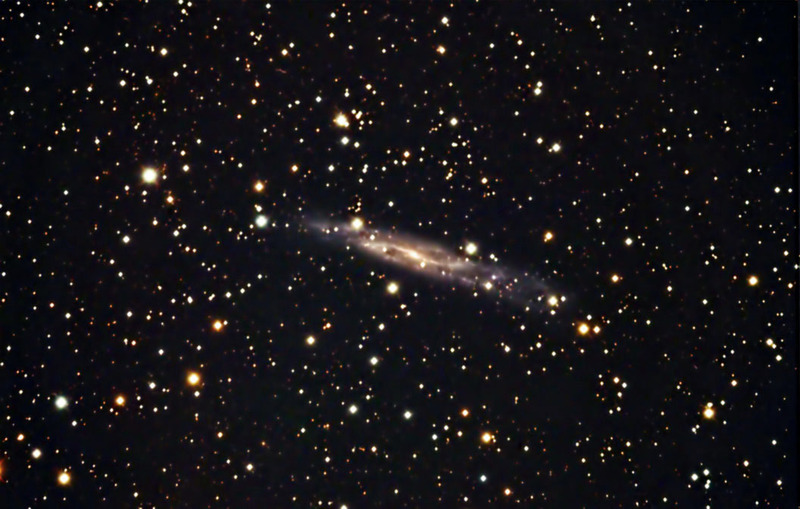 NGC 7640 is a barred spiral galaxy that is viewed in a minor inclination. It lies approximately 49 millioin light years away and spans 59,000 light years (about one-half the diameter of the Milky Way). R: 18 @ 5 min. ; G: 18 @ 5 min. ; B: 21 @ 5 min. Shot from by backyard observatory in southeastern Minnesota on three nights between 9/9/15 and 9/12/15. Seeing was relatively poor, consitent with lying in a valley.